Did you get the second edition out? Not yet. I just finished the formatting last week. It’s with the print-on-demand company, Clearcase, for review. I hope to have it out in the next couple of weeks. 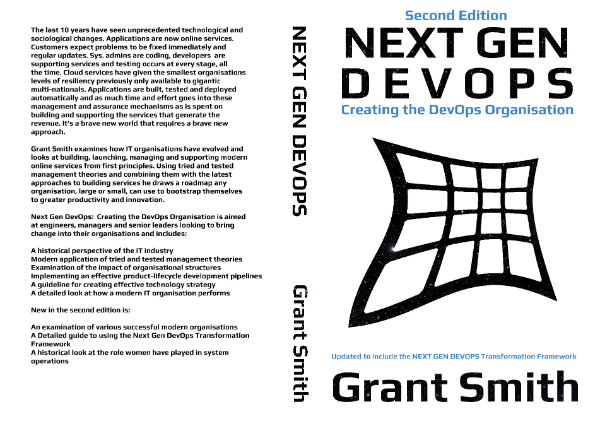 Hi Biju I did just drop me an email to grant@nextgendevops.com if you bought the first edition and would like to claim your free copy. Excited to read the second edition. In my opinion keep the word DevOps. I can understand why you’d think it’s just good engineering practice but that’s you as a professional going back to the ‘truth’ of things, when people are years behind you. It’s very Zen (no really) but right now there’s a lot of energy and promotion behind DevOps by the big companies out there and people need to hear the word to pay attention. You can then show them the light once you have their attention! Btw, if you have a book mailing list be sure to add me. Hey man the book is available now. 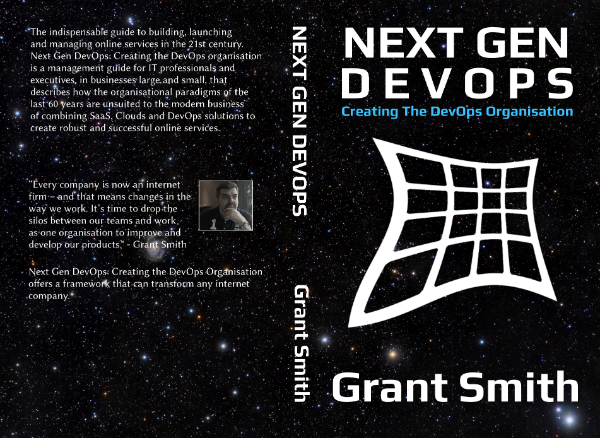 If you want a free copy in PDF format you just have to drop me an email to grant@nextgendevops.com. I’d love it if you’d be interested in writing a review. Hi, Grant. Any news about the Second Edition now? Still outing? Hi the second edition is now available you can find it on Amazon now! I dropped you a email about translate this book into Chinese. Do you think it’s a worth things? Hi, your article really nice, keep it up! I’ll go ahead and bookmark your website to come back later.